Setting a list of goals and tasks for the year to come is a common activity that boosts motivation and gets us through the first tedious months after the holidays. Yearly planners are not only a great way to set your goals straight but it’s also an interesting design concept that can help you develop your creative thinking in the sphere of print and book design. 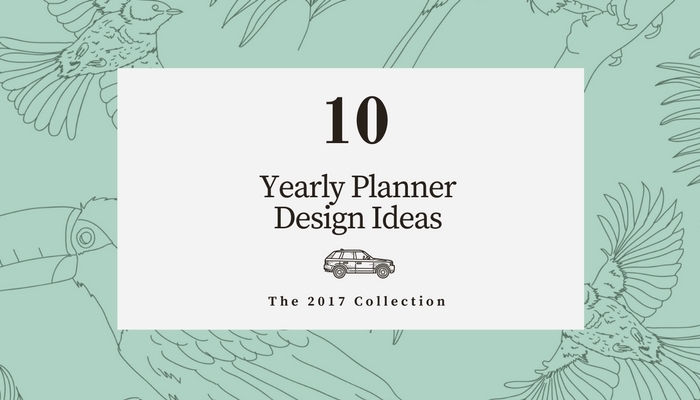 This collection of 2017 yearly planner design ideas features 10 of the most beautiful designs around the Web and is meant to serve you as an inspiration source for your upcoming projects. This gorgeous yearly planner design created by A Type of Inspiration features 372 unique page layouts conveniently segmenting the year in daily activities and appointments. The planner comes ready to download in a PDF format. Each day of the week is written in a playful blush type with rose gold texture that gives the planner a sophisticated feed. This planner has a simple layout with blank pages which contain only date day of the week. 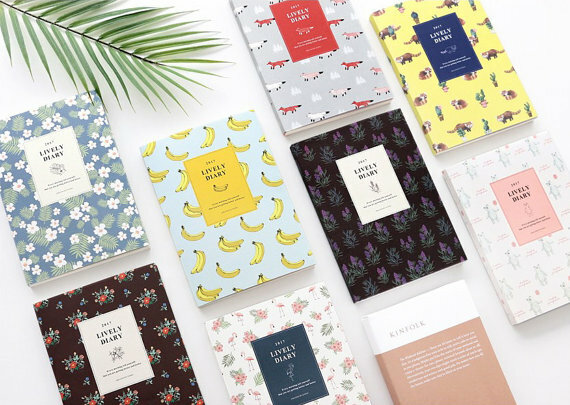 Mery Keem’s collection of yearly planner design will trap your heart in a cage of pure minimalist beauty. The wide selection of vintage-colored geometric patterns is just a small part of what makes this design so incredibly pretty. The inner pages of the yearly planner are divided into 56 separate weeks, one yearly plan overview page, an introduction page, and note pages – all designed with high attention to detail and a keen eye for design composition. This colorful hand drawn cover is the perfect choice for an adventurous person. The design is simple and segmented into short daily note sections. 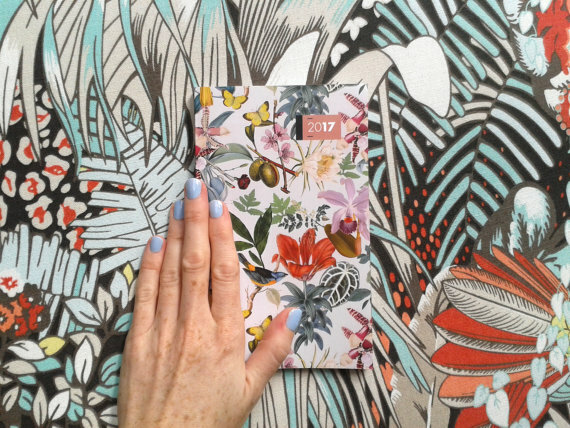 The accent of this yearly planner design is the mesmerizing cover that uniquely mixes colors and natural elements to create a sense of freedom and carelessness. 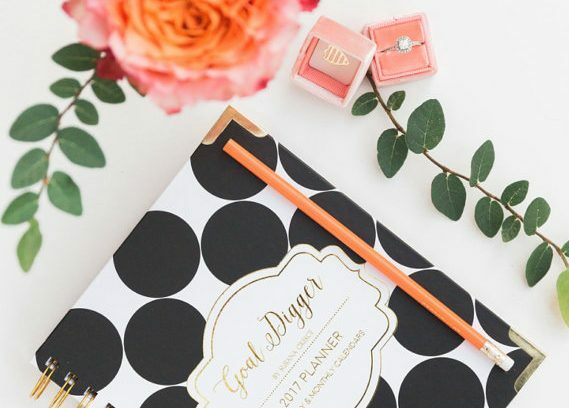 This gold, uhm.. excuse me, I meant goal digger planner mixes a pinch of fresh humor with a side dish of vintage polka dots for the ultimate planner cover. The front label is elegantly encrusted with gold lines. The inner pages feature a daily and monthly calendar with a special place for to-dos and quick notes. 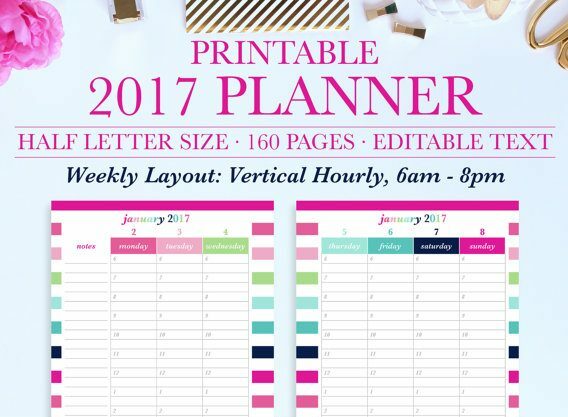 The 2017 yearly planner of IndigoPrintables offers a cutesy pastel-colored design with goal-oriented section pages. 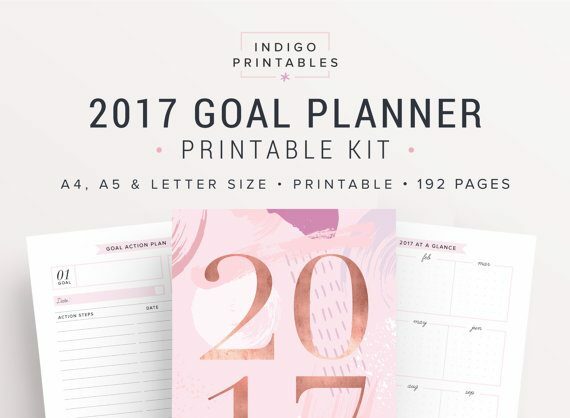 This printable planner kit contains 192 pages, including a year overview, goal action plan, yearly plan, important dates, 2017 calendar, and more. 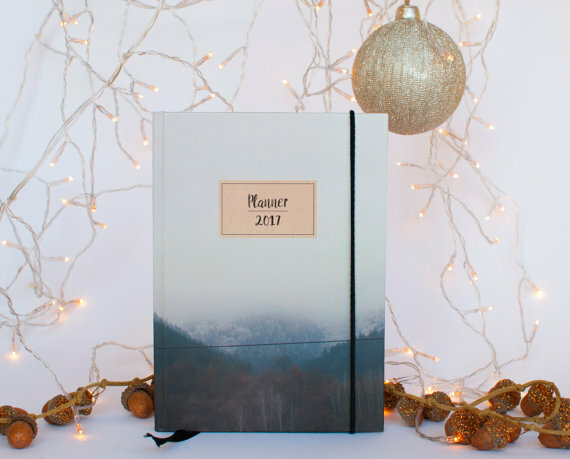 This yearly planner by MeadowGraphic creatively incorporates full-width photography into a small notebook design. The cover contains a year stamp and a large-scale landscape photo which spreads from the front to the back of the planner. The inner page layout designs feature a monthly planner, daily planner, calendar page, and notes section. The IceyDesigns studio is a master in creating stunning hand lettered notebook cover designs. 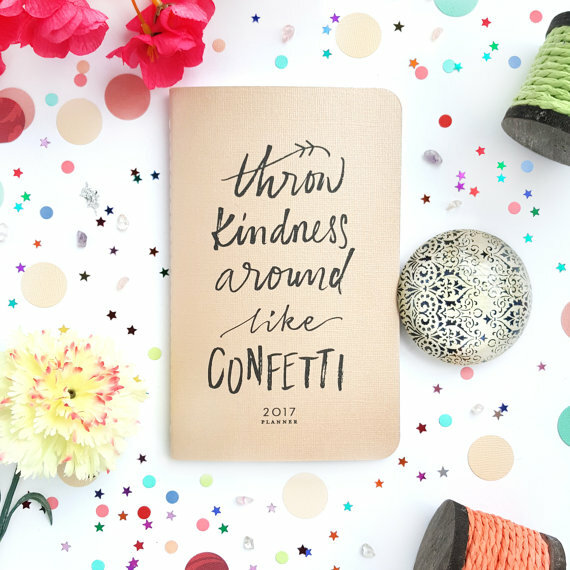 The cover page of this particular 2017 planner features a carefree handwriting type with a brushed texture and a heart-warming message: “throw kindness around like confetti”. ThePreppyGreek’s yearly planner design showcases a chart-focused style with a sprinkle of color in the form of geometric patterns. The design is focused on busy schedule planning. 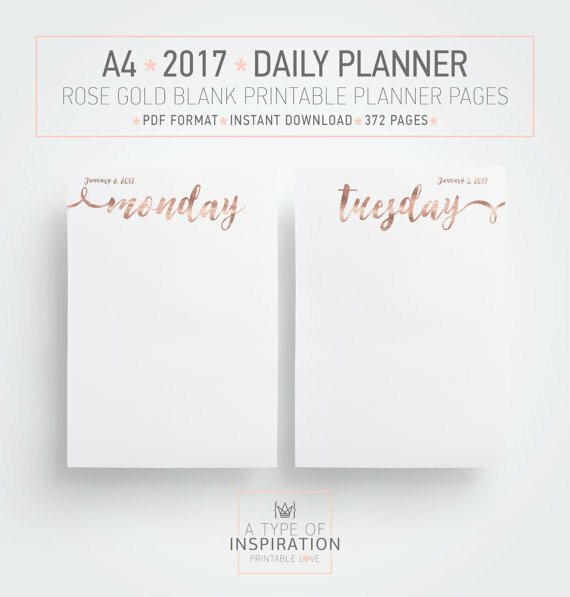 The inner page layout of this planner is particularly convenient as it has each day separated into the following sections: day of the week, specific date, and hour. Single-object patterns are still hot on the market. This yearly planner design by OnlyBoxGift has a classical feel that mixes contemporary and traditional elements. 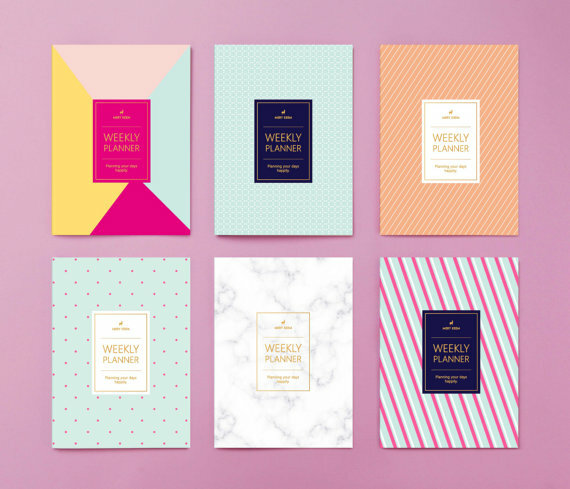 The artsy patterned background and bold sans serif type give the covers a timeless design. 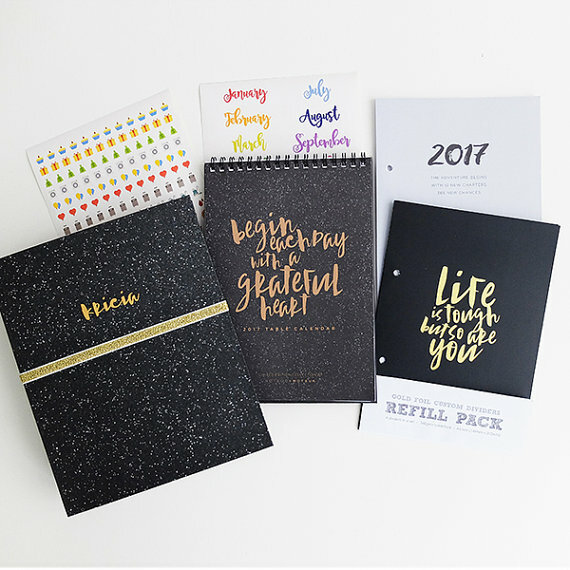 This yearly planner kit by NotbookNotbuk features a binder, a calendar, and notebook with a dark theme and accent gold foil heading. An interesting addition to this design is the collection of colorful stickers and the wide variety of layouts which make it a convenient choice for both the home and office.